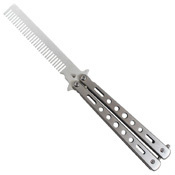 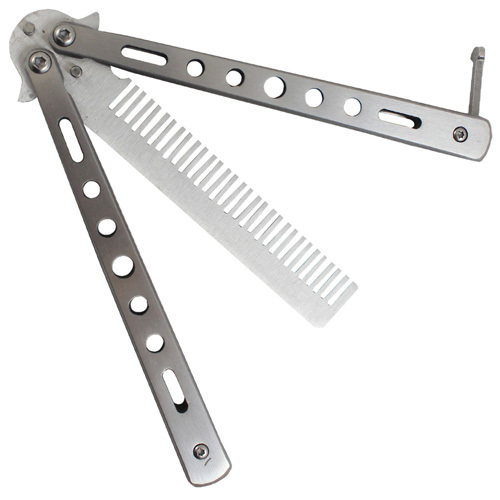 Two-in-one stainless steel butterfly trainer and hair comb. 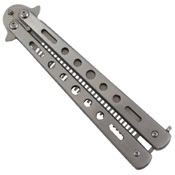 Keep it in your pocket for practicing tricks and keeping look on point. Available in black and silver.